Receive exclusive offers, learn about new releases, and more. By signing up, I agree to receive promotional email messages from Pimsleur. I understand I can unsubscribe later from any emails received. 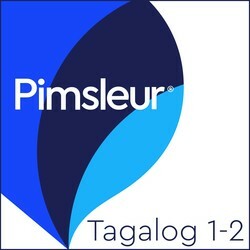 Discover how to learn Tagalog with the Pimsleur Method. 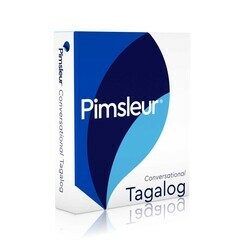 Start Speaking Tagalog using the Pimsleur App! It’s now possible to speak and understand a foreign language effortlessly. 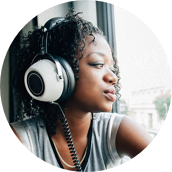 The world-famous Pimsleur Method™ combines well-established research, most-useful vocabulary and a completely intuitive process to get you speaking right from the first day. All Pimsleur® courses feature real-world context and flexible vocabulary enabling you to learn your new language in a fluid, natural way. It’s the simplest way to start speaking a new language today. Tagalog is the most widely-spoken language of the Philippines, with about 24 million native speakers. Several dialects of Tagalog are spoken in different regions. 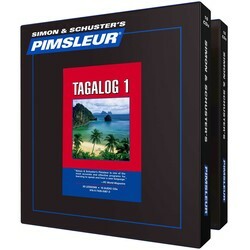 Pimsleur's Tagalog teaches the dialect spoken in Manila, which dominates the Philippine media. 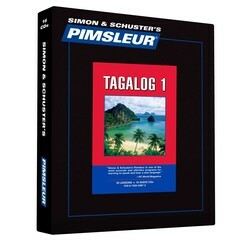 Learn Tagalog today with Pimsleur. Wait! Add level for only $ more (% off). for only $ (reg. $). Or call (800) 831-5497 to order now. Each product contains 5 lessons from the Complete Course. An affordable way to begin serious language study. Lessons 1-16 from the Tagalog Level 1 Course on 8 CDs (8 hrs). Each lesson contains an introductory conversation, new vocabulary & structures. Learn essentials - greetings, meals, shopping, directions and more. Learn Languages Online - Language Learner Success _ Pimsleur®-1 2 Created with Sketch. Learn Languages Online - Language Learner Success _ Pimsleur®-2 2 Created with Sketch. 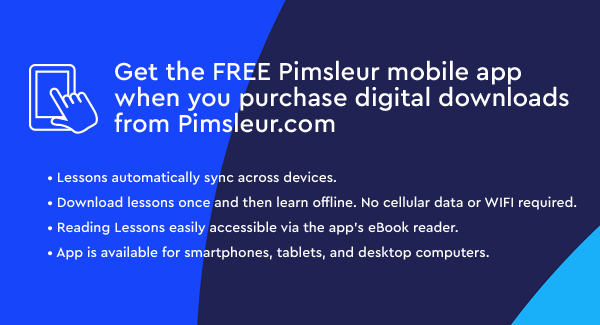 Follow Pimsleur to get the latest news about available languages, deals, formats and more. © & ℗ 2011 - 2019 Simon & Schuster, Inc. Pimsleur® is an imprint of Simon & Schuster Audio, a division of Simon & Schuster, Inc. All rights reserved. PIMSLEUR® is a registered trademark of Beverly Pimsleur, used by Simon & Schuster under exclusive license.